The country of Laos, officially known as the Lao People's Democratic Republic, has a long tradition of dance. The Lao people, who form the ethnic majority, have a strong folkloric tradition that involves a variety of dances. These dances are collectively described as "Fon Phun Muang," and are usually accompanied by traditional Lao music. The Lao people migrated into Laos many hundreds of years ago, and some Lao folk dances are believed to have existed since this time. All traditional Lao dance has been danced since long before the French occupation. Most of these dances are still popular today and form an important part of celebrations and festivities. For example, Lam Vong, the national dance of Laos, is always danced to celebrate the new year, and often appears at weddings. The most widely known Lao dance is Lam Vong, which means "circle dance." This is a social dance that comes from folk traditions, and it involves numerous male/female couples. Dancers are partnered, but in Lam Vong the group dances together as a whole. Another popular folk dance is Fon Uay Phone, a welcoming dance which originated in the royal palace but soon became popular among common people. There are also classical Lao dances, which are danced in performance, and ritualistic dances with religious roots. Dances often involve slow, deliberate movements of arms, legs and fingers, and elaborate hand gestures. For example, Lam Vong involves individuals moving their arms, legs and fingers in circles, while circling their partner and being circled by the group. Lao dances are traditionally danced to Lao music, which is taught by ear, and played upon instruments like the "saw" (a bowed lute similar to a fiddle) and the "kaen" (a bamboo mouth organ). Many Lao folk dances are related to dances of the surrounding countries. For example, Lam Vong is also danced by the Khmer people of Cambodia, as well as by Lao ethnics living in Thailand. There are also narrative performance dances that are related to those of India. However, some dances are specific to places in Laos; "Lumvong Salavan," for example, means "traditional dances in the style of Salavan." 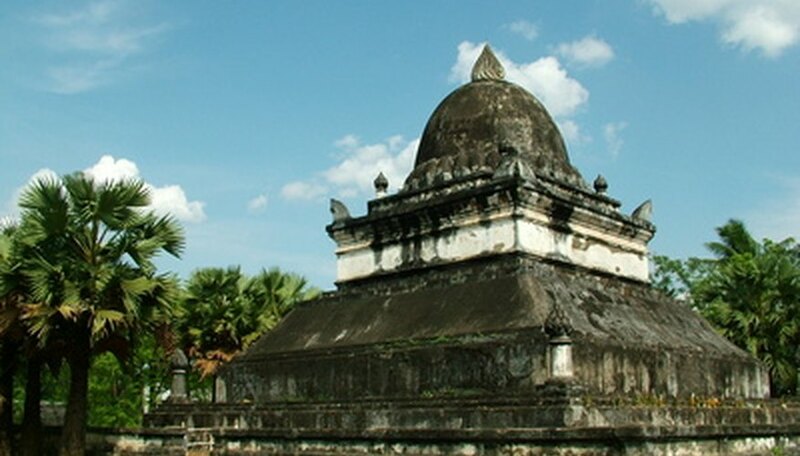 Salavan is major city from the southern part of Laos. Lao folk dances preserve an important part of Lao history. Some are narrative dances, portraying ancient texts, such as the Sanskrit epic Ramayana, which tells the story of Prince Rama (the incarnation of the Hindu god Vishnu) and his love. Other dances stem from religious ritual or courtly performance genres. Dances that have celebrated the passing of the seasons for centuries are still used for that same purpose today. Through these various genres, the experiences of the Lao people are preserved.